Recently, I'd learnt from a friend that cooking can be therapeutic ... a way for her to de-stress. Perhaps it is for her but for me, it's a totally different perspective. I actually like to cook but never the cleaning up ... but they both normally goes together, doesn't it? Anyway, cooking to me is more like a feat ... cook up a storm with my dishes and then scout for compliments. If I received good ones, the ego kicks in but otherwise, I'll swear never to cook anymore till the next itch that comes along to cook. What a perverted interest to cooking! Just a little while ago, I had an itch to bake. BAKE?! It's not my best forte but just felt like it. Heck, I've got all the ingredients at hand ... wholemeal flour, eggs, margarine and I'm in need of some healthy afternoon snacks anyway. 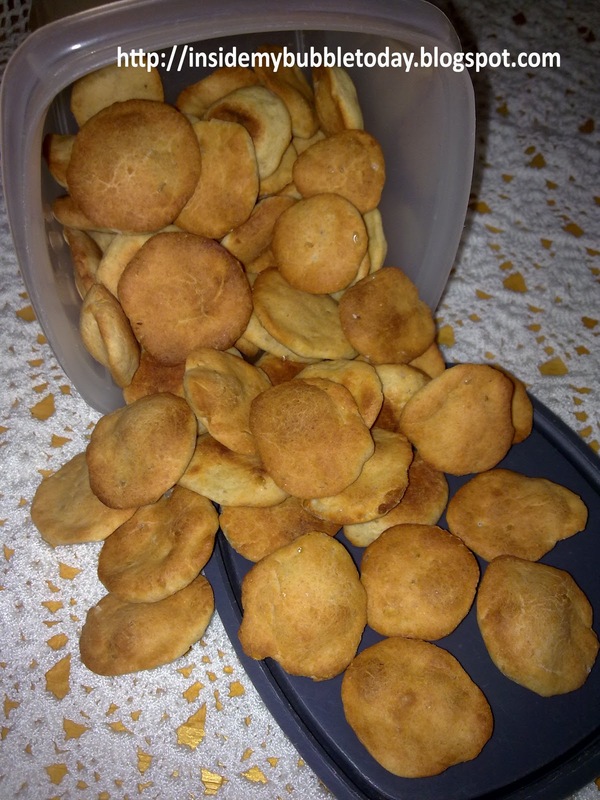 I decided to make some sugar-free cinnamon bread cookies. Crumbed the wholemeal flour, protein powder, flaxseed, salt and margarine together before adding fresh yoghurt and egg to make a dough. Then I formed the dough into small balls before flattening them onto the baking tray. I should repeat that baking is certainly not my forte. Halfway into baking them, I realised I have forgotten to add honey and cinnamon. I was too excited to get to the end result. 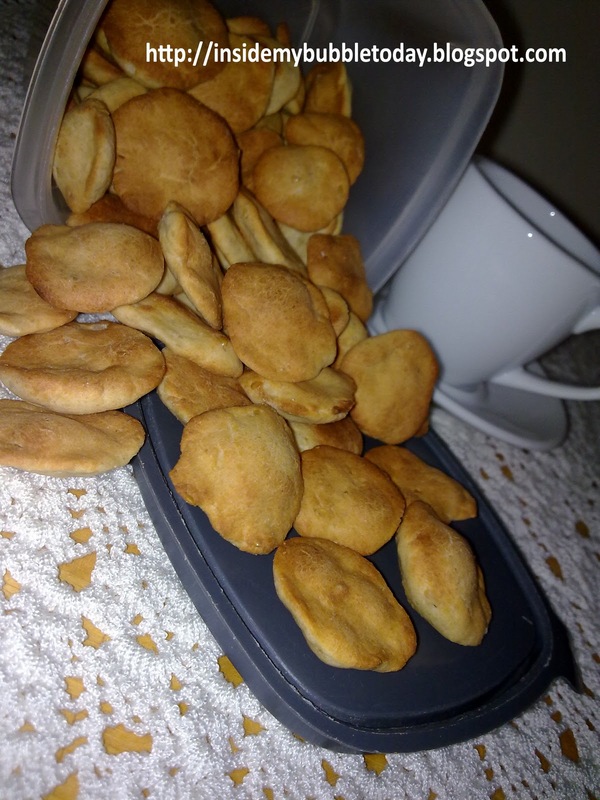 Now, I'm stucked with plain almost tasteless bread cookies ... LOL!!! End of this story, I guess my friend was right ... cooking can be therapeutic because I can't stop laughing at myself for such a boo-boo ... and then comes this idea to post. Thanks, may be so coz I just don't fare well with baking. 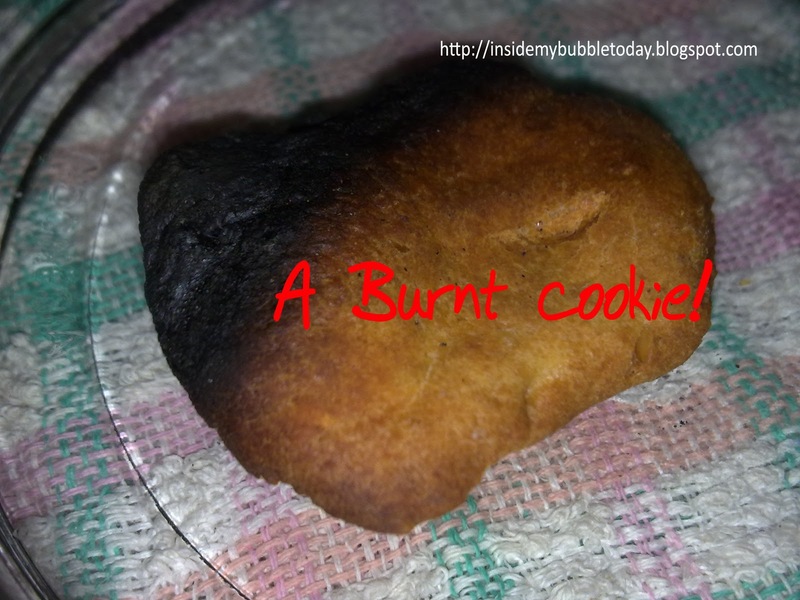 burnt cookies can be yummy ok. i like the sites. I bet they would be great for dipping into things--like people do with bread. Cooking usuallu just makes me tired. I clean as I go, so it takes me a long time. Lily, I like burnt food sometimes like you know those 'garing garing' toast and satay but this cookie is way too burnt. I can guarantee you definitely won't like it ... it's tasteless! Its frustrated when the product didnt turn well. End up i will eat all coz so shy to give to others to try. Precisely Meeza but i'm still very amateurish at baking ... my son's my only willing guinea pig ... muahahahaha!! !